At Stratfor, we follow Mexico's criminal cartels closely. 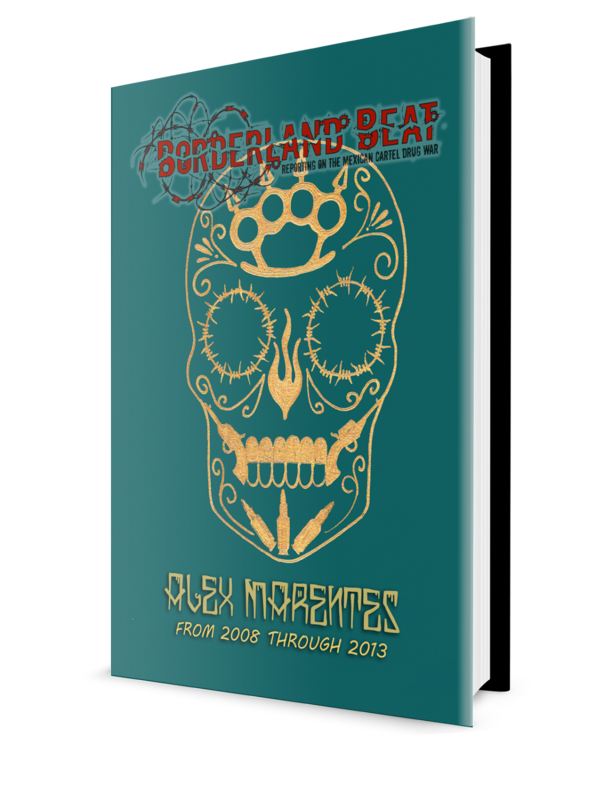 In fact, we are currently finishing our 2013 cartel forecast, which will be released later this month. As we analyze the Mexican cartels, we recognize that to understand their actions and the interactions between them, we need to acknowledge that at their core they are businesses and not politically motivated militant organizations. This means that although violence between and within the cartels grabs much of the spotlight, a careful analysis of the cartels must look beyond the violence to the business factors that drive their interests — and their bankrolls. There are several distinct business factors that have a profound impact on cartel behavior. One example is the growing and harvesting cycle of marijuana in the Sierra Madre Occidental. Another is the industrialization of methamphetamine production in Mexico and the increasing profit pool it has provided to the Mexican cartels in recent years. But when we are examining the transnational behavior of the Mexican cartels, the most important factor influencing that behavior is without a doubt the economics of the cocaine trade. Cocaine is derived from the leaves of the coca plant, and three countries — Colombia, Peru and Bolivia — account for all the coca harvested in the world. Turning coca into cocaine hydrochloride is a relatively simple three-step process. Once the leaves of the coca plant are harvested, they are rendered into what is known as coca paste. From there, the coca paste is processed into cocaine base, which eventually becomes cocaine hydrochloride. The process involves several precursor chemicals: kerosene, sulphuric acid, sodium carbonate, hydrochloric acid, potassium permanganate and acetone. Most of these chemicals are readily available and easily replaced or substituted, making them difficult for authorities to regulate. According to figures from the U.N. Office on Drugs and Crime, coca farmers in Colombia receive $1.30 for each kilogram of fresh coca leaf. In Peru and Bolivia, where the leaf is air-dried before being sold, farmers receive $3.00 per kilogram. For the fresh leaf used in processing in Colombia, it takes somewhere between 450 and 600 kilograms of coca leaf to produce 1 kilogram of cocaine base, depending on the variety of coca plant used (some varieties have a higher cocaine alkaloid content). At $1.30 per kilogram, this means that it costs somewhere between $585 and $780 to purchase the coca leaf required to produce one kilogram of cocaine base. One kilogram of cocaine base can then be converted into roughly one kilogram of cocaine hydrochloride, which is commonly referred to as cocaine. As cocaine progresses from the production site to the end users, it increases in value. According to figures provided by the Colombian National Police, a kilogram of cocaine can be purchased for $2,200 in the jungles in Colombia's interior and for between $5,500 and $7,000 at Colombian ports. But the price increases considerably once it leaves the production areas and is transported closer to consumption markets. In Central America cocaine can be purchased for $10,000 per kilogram, and in southern Mexico that same kilogram sells for $12,000. Once it passes through Mexico, a kilogram of cocaine is worth $16,000 in the border towns of northern Mexico, and it will fetch between $24,000 and $27,000 wholesale on the street in the United States depending on the location. The prices are even higher in Europe, where they can run from $53,000 to $55,000 per kilogram, and prices exceed $200,000 in Australia. The retail prices per gram of cocaine are also relatively high, with a gram costing approximately $100-$150 in the United States, $130-$185 in Europe and $250-$500 in Australia. Along the supply chain there is also quite a bit of "cutting," which is when substances are added to the cocaine to dilute its purity and stretch profit. According to the Colombian National Police, the purity of cocaine leaving the country is about 85 per-cent. By the time it reaches the United Kingdom, purity is 60 per-cent, and it drops further to about 30 per-cent at the retail level, according to the U.N. World Drug Report 2012. There has been a thriving two-way flow of contraband goods across the U.S.-Mexico border since its inception. Mexican organized crime groups have been involved in the smuggling of marijuana to the U.S. market since the U.S. government began to restrict marijuana in the early 1900s, and Mexican organized criminals profited handsomely during the Prohibition era in the United States. These Mexican organized crime syndicates, such as the Guadalajara cartel also began to traffic cocaine into the United States in the late 1970s, but for many years the Mexican organizations worked as junior partners for the powerful Colombian cartels in Medellin and Cali. Mexico was a secondary route for cocaine compared to the primary route through the Caribbean. 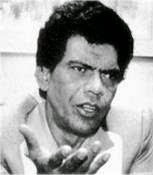 In the late 1970s and the 1980s — the early phase of Mexican involvement in the cocaine trade — Central American middlemen such as Juan Matta-Ballesteros were also heavily involved in the flow of cocaine through Mexico. They moved cocaine from South America to Mexico, becoming wealthy and powerful as a result of the profits they made. 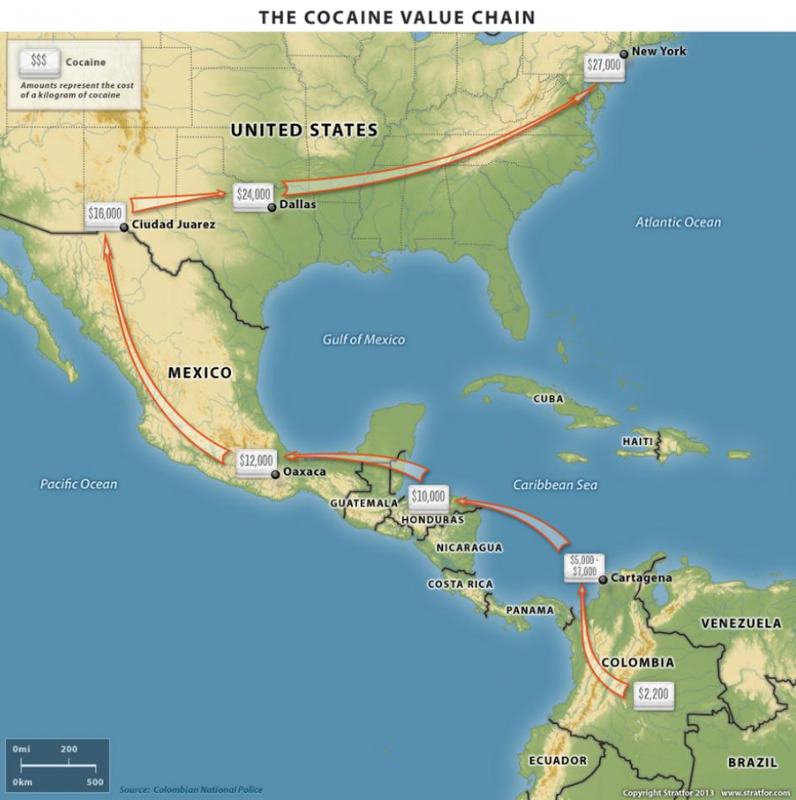 As U.S. interdiction efforts, aided by improvements in aerial and maritime surveillance, curtailed much of the Caribbean cocaine flow in the 1980s and 1990s, and as the Colombian and U.S. governments dismantled the Colombian cartels, the land routes through Central America and Mexico became more important to the flow of cocaine. It is far more difficult to spot and seize contraband moving across the busy U.S.-Mexico border than it is to spot contraband flowing across the Caribbean. This increase in the importance of Mexico allowed the Mexican cartels to gain leverage in negotiations with their Central American and Colombian partners and to secure a larger share of the profit. Indeed, by the mid-1990s the increasing importance of Mexican organizations to the flow of cocaine to the United States allowed the Mexican cartels to become the senior partners in the business relationship. In a quest for an even larger portion of the cocaine profit chain, the Mexican cartels have increased their activities in Central and South America over the last two decades. The Mexicans have cut out many of the middlemen in Central America who used to transport cocaine from South America to Mexico and sell it to the Mexican cartels. Their efforts to consolidate their control over Central American smuggling routes continue today. 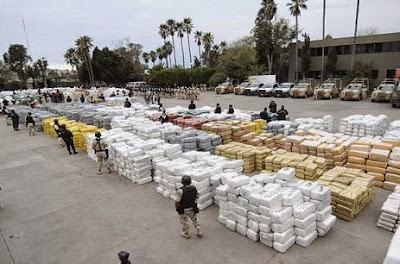 This move meant that the Mexican cartels assumed responsibility for the losses incurred by transporting cocaine from South America to Mexico, but it also permitted them to reap an increasing portion of the profit pool. Instead of making a set profit of perhaps $1,000 or $1,500 per kilogram of cocaine smuggled into the United States, the Mexican cartels can now buy a kilogram of cocaine for $2,200 or less in South America and sell it for $24,000 or more to their partners in the United States. But the expansion of the Mexican cartels did not stop in Central America. According to South American authorities, the Mexican cartels are now becoming more involved in the processing of cocaine from coca leaf in Colombia, Peru and Bolivia. There have also been reports of seizures of coca paste being smuggled to cocaine processing laboratories in Honduras and Guatemala. The use of these Central American processing laboratories, which are run by Mexican cartels, appears to be a reaction to the increased efforts of the Colombian National Police to crack down on cocaine laboratories and the availability of cocaine processing chemicals. (Otis: see link to Chivis article on coca being grown in Mexico). U.S. counter-narcotics officials report that today the Mexican cartels are the largest players in the global cocaine trade and are steadily working to grab the portion of cocaine smuggling not yet under their control. But the efforts of the Mexican cartels to increase their share of the cocaine profit are not confined to the production side; they have also expanded their involvement in the smuggling of South American cocaine to Europe and Australia and have established a footprint in African, Asian and European countries. Furthermore, they have stepped up their activities in places like the Dominican Republic and Haiti in an attempt to increase their share of the cocaine being smuggled through the Caribbean to the U.S. market. As seen by recent operations launched by U.S. law enforcement, such as Operation Xcellerator, (Otis: see link to Buggs article on this operation). Operation Chokehold and Operation Imperial Emperor, the Mexican cartels have also been increasing their presence at distribution points inside the United States, such as Chicago, Atlanta and Dallas, in an effort to increase their share of the cocaine profit chain inside the United States. While marijuana sales have always been an important financial source for the Mexican cartels, the large profits from the cocaine trade are what have permitted the cartels to become as powerful as they are today. The billions of dollars of profit to be had from the cocaine trade have not only motivated much of the Mexican cartels' global expansion but have also financed it. Cocaine profits allow the Mexican cartels to buy boats and planes, hire smugglers and assassins ("sicarios") and bribe government officials. Cocaine is a product that has a very limited and specific growing area. Consequently, that distinct coca growing area and the transportation corridors stretching between the growing area and the end markets are critically important. With a business model of selling cocaine at over 10 times the cost of acquisition — and even greater over the cost of production — it is not surprising that the competition among the various Mexican cartels for the smuggling corridors through Mexico to the United States has become quite aggressive. Can anyone comment on why its not possible to grow the plant in large greenhouses in the US? I never understood this. Why does it have to grow outside? Climate, climate, climate. Plus did you read the number of pounds it takes to make just one kilo? 1 kilo = 2.2 pounds. Its like any other legit big corporation out there, the big dogs want all the business so they buy out the small ones. In a Cartels point of view, they either have the small cartels join them or theyll eliminate them (ala all these wars over corridors). And like ur CEO, vice pres, supervisor, leadman, n workers etc....in the cartels u have Druglord Leutinant, Captain, sicarios n soldiers. Only differance cartels are illigal n corps arent. Hahaha or at times they both are illigal just to get what tbey want. Message to Americans: If you know of any of these people in your neighborhoods, report them to police, or take them out. We cant let them continue to grow here or it will be too late to do anything about it. Show no mercy. We have way better and scary criminal organizations that are home grown.let's get rid of this guys first before straying to worry about Mexican cartels violence on USA soil. I agree....Take the MF out. Cant get rid of any kind of crime, thats job security for law enforcement. the expense of thousands of deaths perpetrated by the war on the cartels and their war against each other. From places where the product is produced to those with regions called Tierra del Fuego. Yes, the profits generated from cocaine are very alluring/enticing to rich, and poor, and powerful alike. Dan, you need to read the entire article and not just the comments. The article says "For the fresh leaf used in processing in Colombia, it takes somewhere between 450 and 600 kilograms of coca leaf to produce 1 kilogram of cocaine base,"
The commenter who said 2.2lbs = 1 kilo was not saying it took 2.2 lbs. of leaf to make 1 kilo, he was explaining to those that don't know the metric system that 1 kilo is 2.2 lbs. 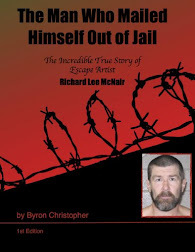 In my earlier post I meant to mention that the book "Escape" is a great read and about the actual escape from the infamous Lecumberri Mexican federal prison. Lecumberri is no longer and escapee, Dwight Worker, was the only inmate other than Pancho Villa to escape. K.O. Je je jeee, I have seen lineas de a metro, and guys being dragged on the bar to take care of them, just for the hell of it. Nice work OB f-W. In the category of generational forgetting, the independents were big 50's-80's and somewhat beyond. You will recall the DEA program where American travelers to South America were forced to deplane in Mexico City and then searched for cocaine. The upshot were many enterprising young Americans sentenced to time in Mexican jails. This program let to the book "Escape" as well as a huge Mexican-American prisoner exchange program in the mid 70's....I believe. K.O.